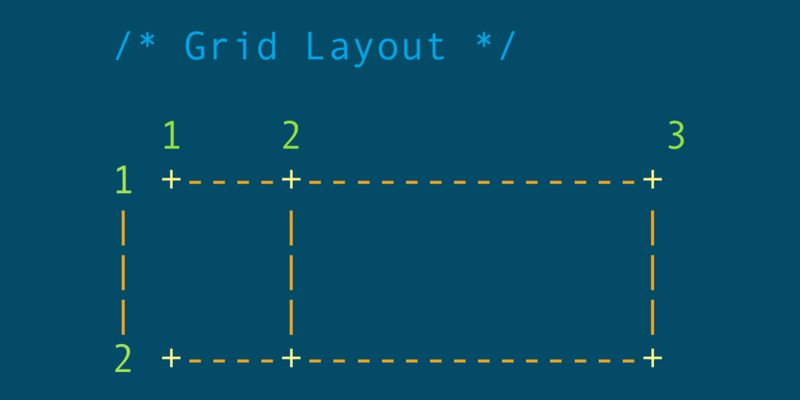 I think of named grid areas in CSS Grids as bring-your-own syntactic sugar. You don’t absolutely need them (you could express grid placement in other ways), but it can make that placement more intuitive. And, hey, if I’m wrong about that, correct me in the comments. No rows defined there; those are implicit and will appear as needed. We could define them, we just aren’t, because like most situations in web design, we don’t care how tall the items are — the height will grow as needed to accomodate the content. All those 1’s and 2’s might be intuitive enough for now, but the numbers become a bit much in more complex grids involving both column and row placement. Every quoted group in grid-template-areas is a row. Inside are names I just made up. Could be just about anything, as long as it makes sense to you. See how the word “pro” is repeated twice there on two rows? That’s important, as it’s saying that we could place a grid item where that value “pro” is and it will be in the first of three columns and span two rows. Pretty intuitive, yeah? See the Pen Simple Named Grid Areas by Chris Coyier (@chriscoyier) on CodePen. Want to get even more descriptive with a grid? Try drawing it in your CSS comments.